Five a.m. to be precise. 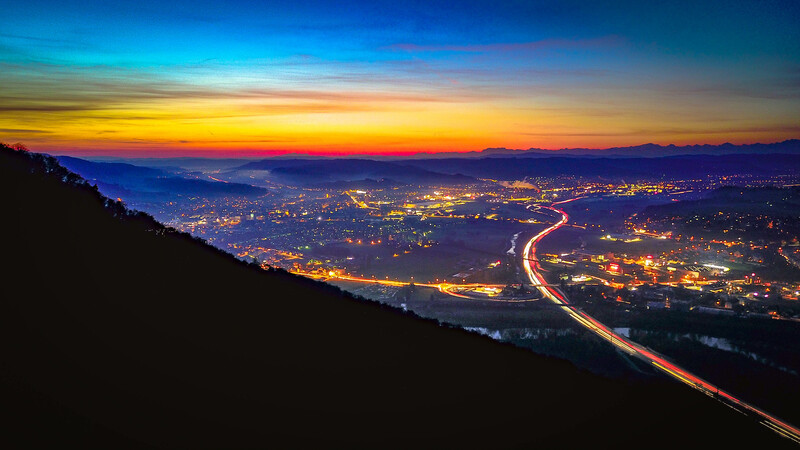 Long exposure shot from Aarburg and Rothrist, Switzerland. After this early start I prepared to go small stream fly fishing with Claudio. The Orvis Waterproof Sling Pack offered plenty of space for fly boxes, fly reel, camera and underwater case. Due to the observation on previous explorations of some mayfly hatches around midday, Claudio and I timed our departure accordingly. The remote valley is a distance away and therefore offers a pretty Swiss backcountry feeling. The small stream Claudio and myself explored. 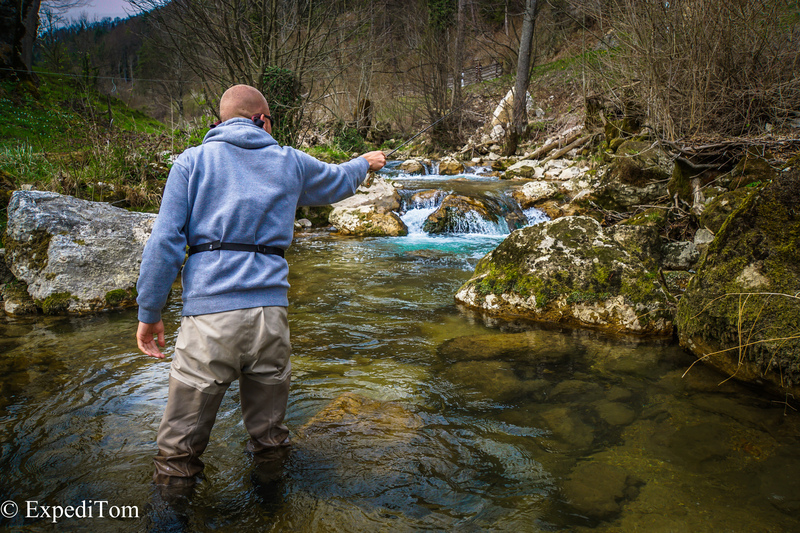 We geared up and walked down to the river, where we looked in a safe distance for any signs of fish. It was not long until a small trout spotted us and swam away. Bugger. It is astonishing how good these fish can see, even though we stood at least 5 meters away from the banks. Because Claudio had not fished for a while, I let him try first. He sneaked up on the pool from far below and his careful approach was fruitful. 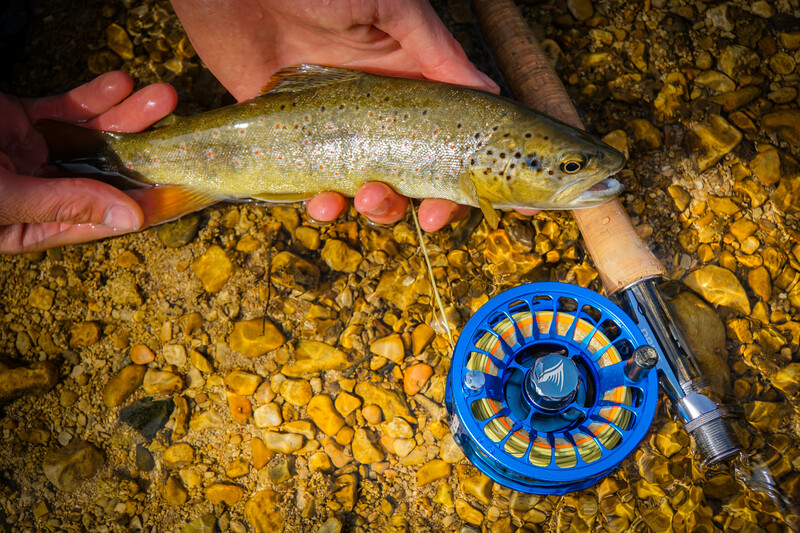 While tying my setup with a dry fly and a nymph, I saw in the corner of my eye that Claudio’s Orvis Helios #3 was bent down to the grip. A few seconds later a gorgeous brown trout found its way to the net. What a start! 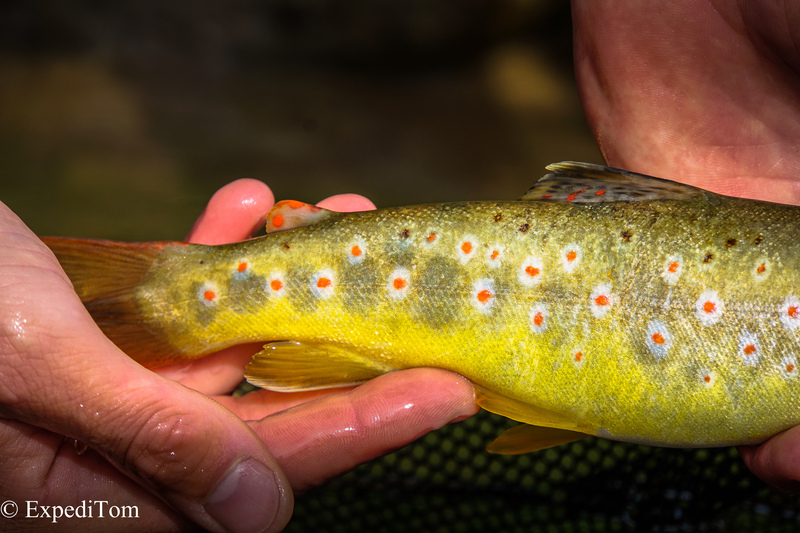 Stunning pattern of a wild brown trout. Now it was my turn in the same pool. Actually, I did not expect to catch another trout in this spot, but my assumption proofed to be wrong. At the top of the pool my dry fly indicator sank abruptly. This trout gave a hell of a fight and stayed deep in the pool. She almost took me into the backing. Okay, that was slightly exaggerated, but the fish seriously made use of the brake of the reel! The lovely fish looked very different to the previous one so that we discussed about stock and wild trout for a while. We continued our exploration. In contrast to the preceding fishing trip to this waters, there was not a distinctive mayfly hatch. Nevertheless, there were some mayflies now and then. Subsequently, the fish were rising rather irregularly. Hence, Claudio switched to the french nymphing technique with long leaders and heavy flies. 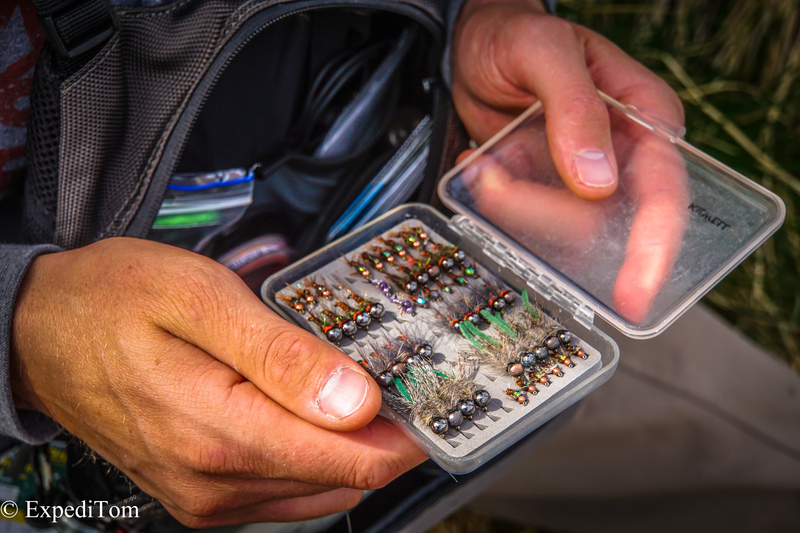 The secret flies in one’s fly box. He applied this technique very successfully and brought several smaller trout to the net. Like a magician he caught trout in places you would not expect them to hid. Throughout the day, we enjoyed some poison, which in our case was a schnapps made of herbs from Switzerland and after lunch we treated ourselves to a refreshing Corona beer. 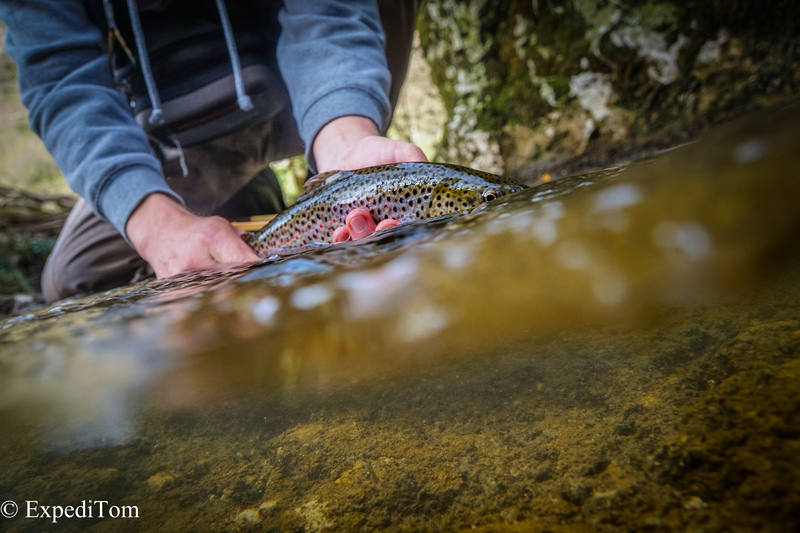 Claudio told a lot of stories from New Zealand where he had fished extensively the Tongariro river with the guys from the Sporting Life Fishing Outfitters shop. We continued upstream after lunch where we enjoyed the time being in the river. This water produces some amazing pools for its size with a distincitve ice blue colour that I had only known from NZ and Slovenia. Then, another angler showed up. He was in his forties, wore a fishing vest and in his hand a pretty used fishing rod with nylon line and sinker. We discussed about the fishing and from where we are. I proposed to split the remaining stretch of water between us, but he negated. Instead, he told that he will fish another day, because he lived in the village nearby. I thanked him for this kind offer. 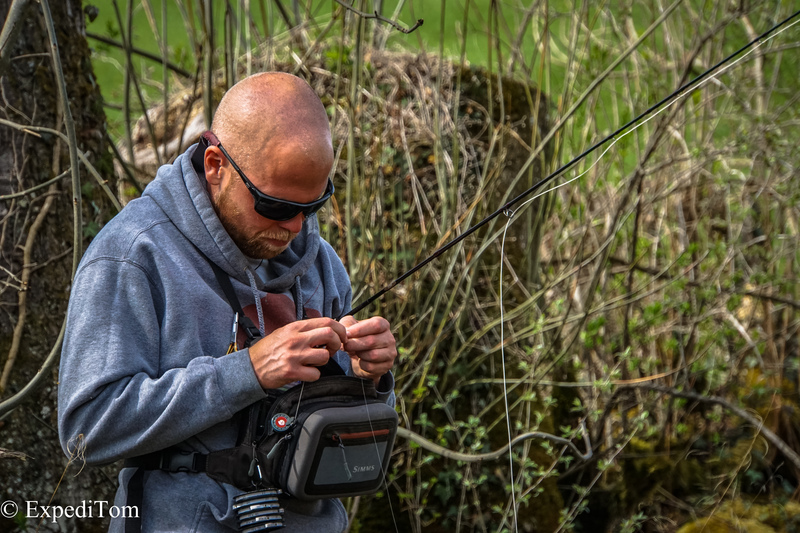 It is sad that nowadays, it is not always possible to find a solution with fellow anglers but rather each acts selfishly or is not able to share a stretch of water. Another happening worth mentioning is rather bizarre. Fishing the hopper dropper, I managed somehow to hook a tiny bullhead (Groppe in German) by accident and continued casting. Therefore the fish landed in a tree. When I realised the accident, we rescued the fish and put him back in his habitat. The weather began to change and became cloudier. At the same time our energy was fading too. We just came around a corner where Claudio pointed at a large boulder below the water surface. The foam line flouted directly to the stone. He just said that there must live a trout which cannot see us. The next second he was fighting a decent sized trout for this tiny stream. I netted the trout successfully and we both shouted out of joy. This was by far the largest trout we had caught the entire day and it was an amazing fish with as many spots as I had never seen before. It looked almost like a leopard. 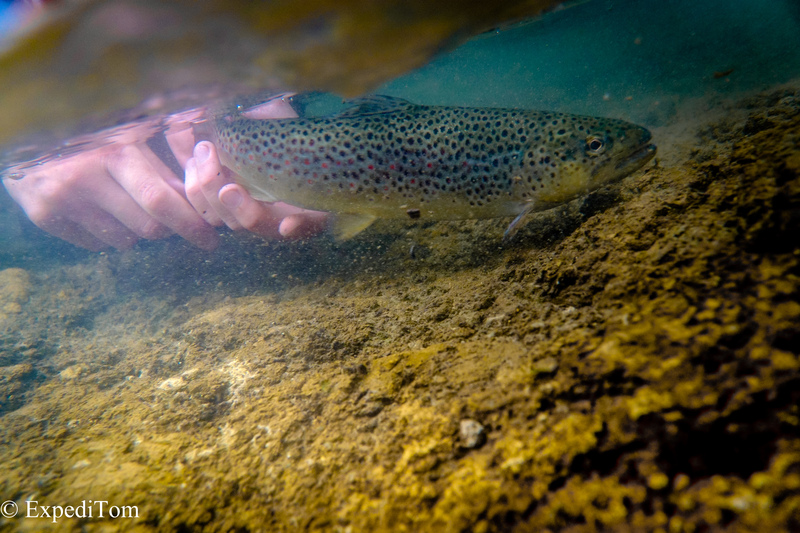 After releasing the fish for the population we looked at each other and we both knew – this was the perfect moment to call it a day. Fat back of the leopard trout caught by Claudio. 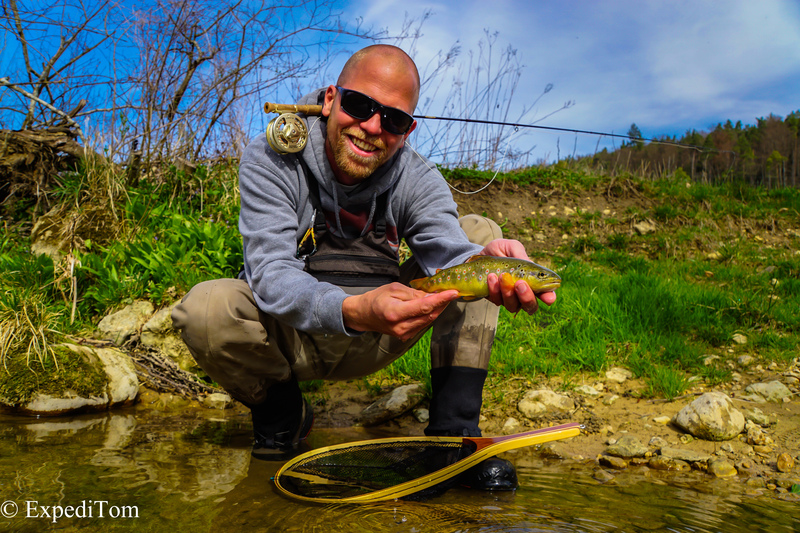 Claudio and I had a splendid day fly fishing in a small stream for trout in Switzerland. Sneaking up on them was key, as well as adapting to the condition. Moreover, I learned to anticipate where trout like to hide. 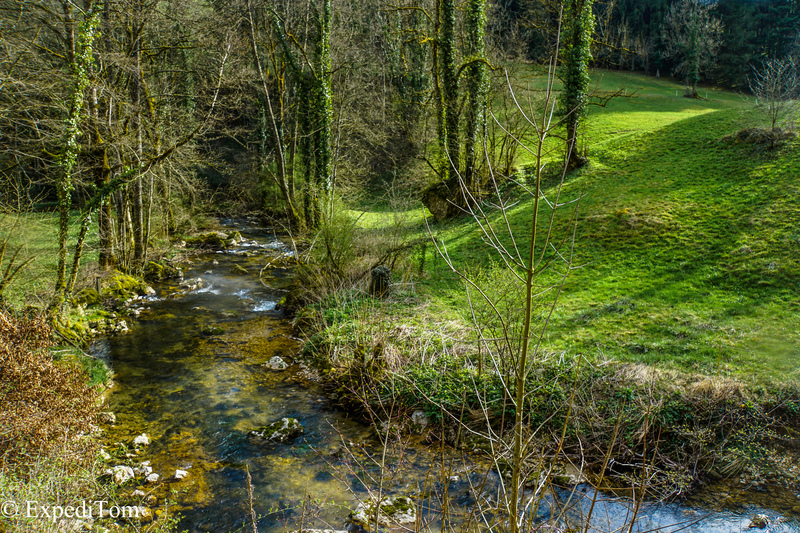 Look for these features and you will find trout. 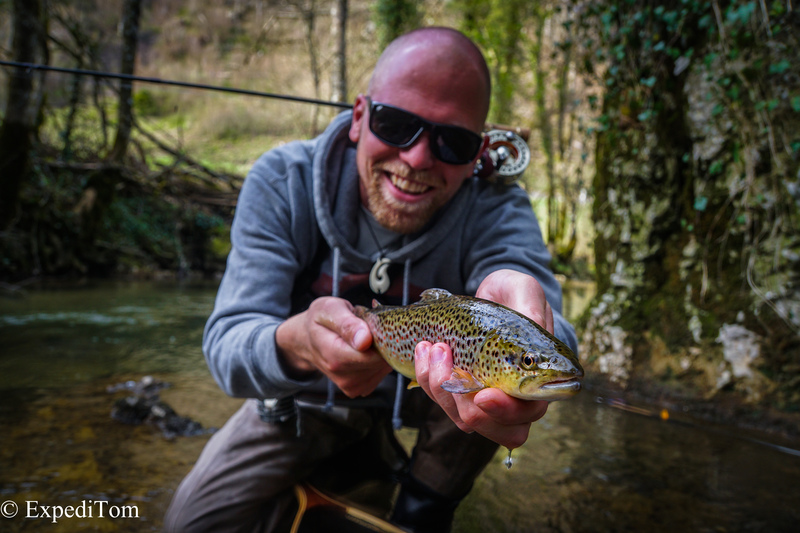 Do you like small stream fly fishing? What’s your favourite technique?